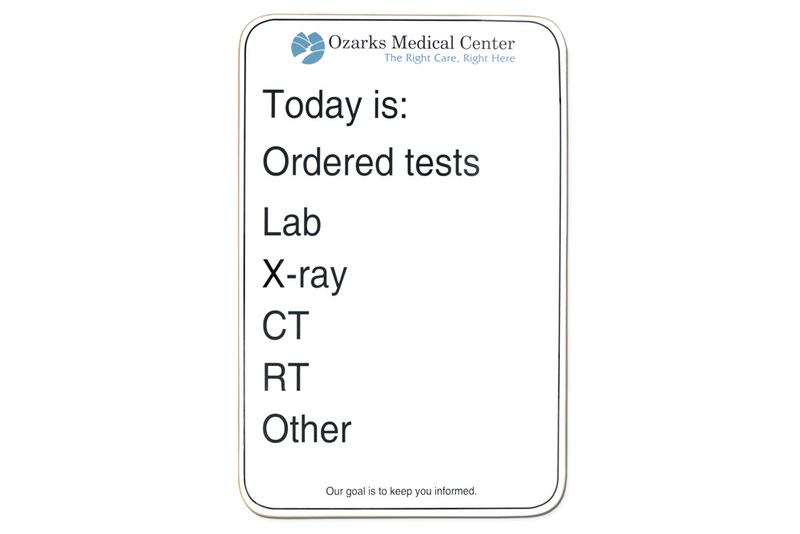 Unframed or frameless custom printed dry erase patient room boards with the specific information that is important to you, your floor, department, your nursing staff and doctors made with a dry erase writing surface that really works. 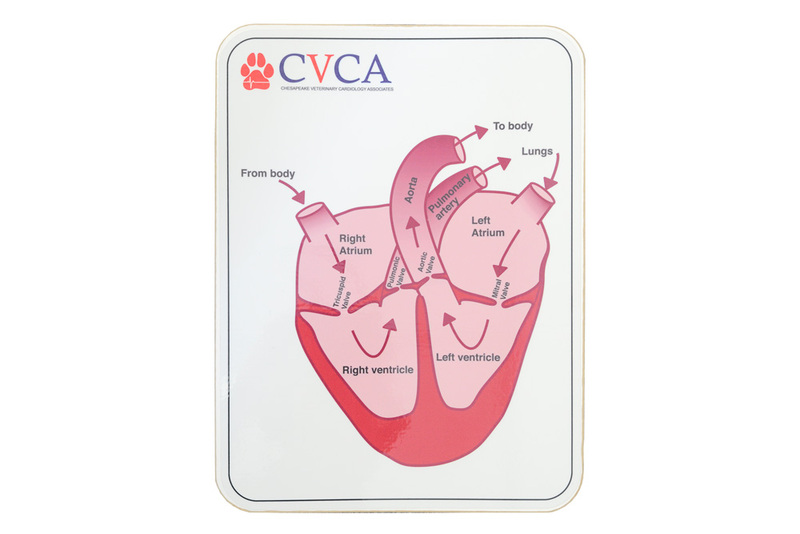 The boards are a versatile size of 12" x 18" or reversed 18" x 12" and they're only 1/8" thick. There is no frame on the unit. The corners are slightly rounded and the edges have a bull-nosed smooth feel to them so there are no sharp edges or corners. 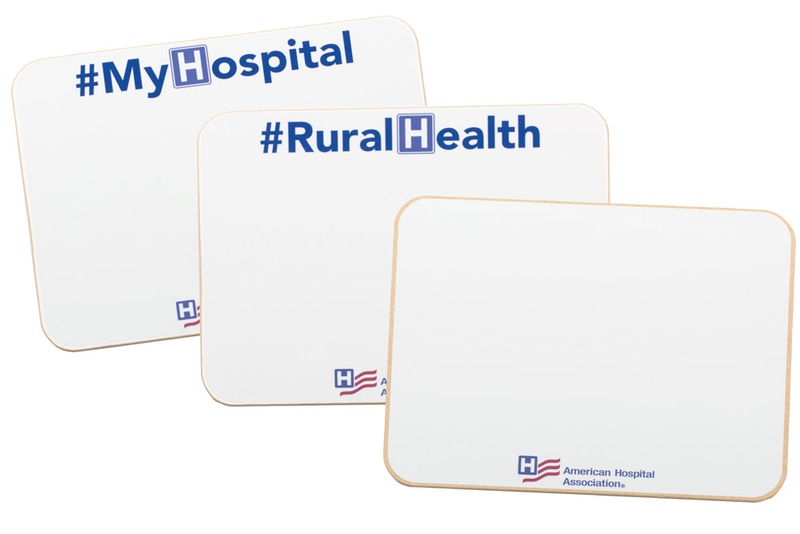 The board mounts semi-permanently to any smooth surface with 3M® double sided tape attached to the back of each unit. You can also install these units by drilling through the board and attaching with a screw and fancy grommet. Don't let the low price fool you! 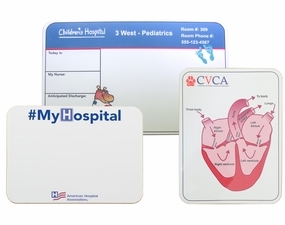 These custom printed patient room boards are made with our exclusive Opti-Print method so you get an excellent multi-color image, awesome graphics and a terrific ghost free dry erase writing surface. A true hospital clean board! 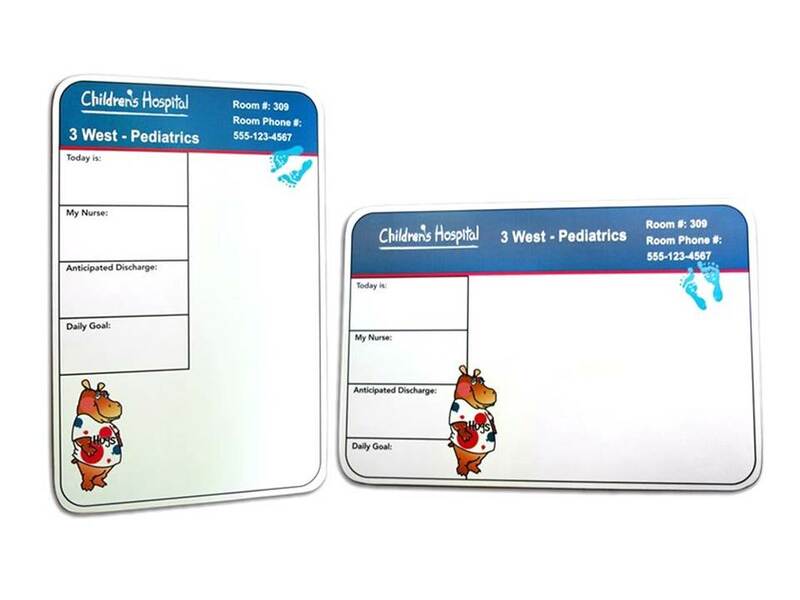 Our Opti-Prints can be wiped down and cleaned with hospital grade disinfectants without damaging the image or the writing surface. Simply rinse with plain water after cleaning to avoid any chemical build up and avoid using any products that contain Ammonia. 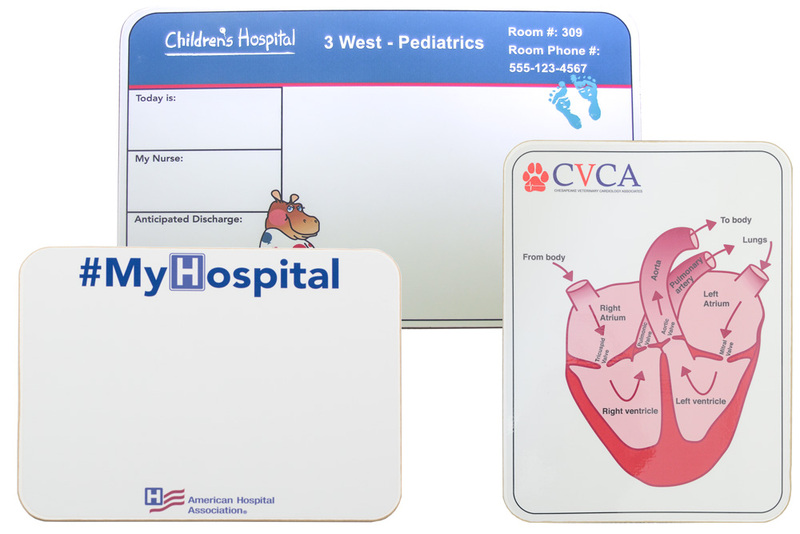 There is a one-time $10.00 set up fee for each different design on lapboards of any size 12" x 18" and smaller. We keep your artwork on file for a period of one year. Add one art fee for each different art file that you intend on ordering below. 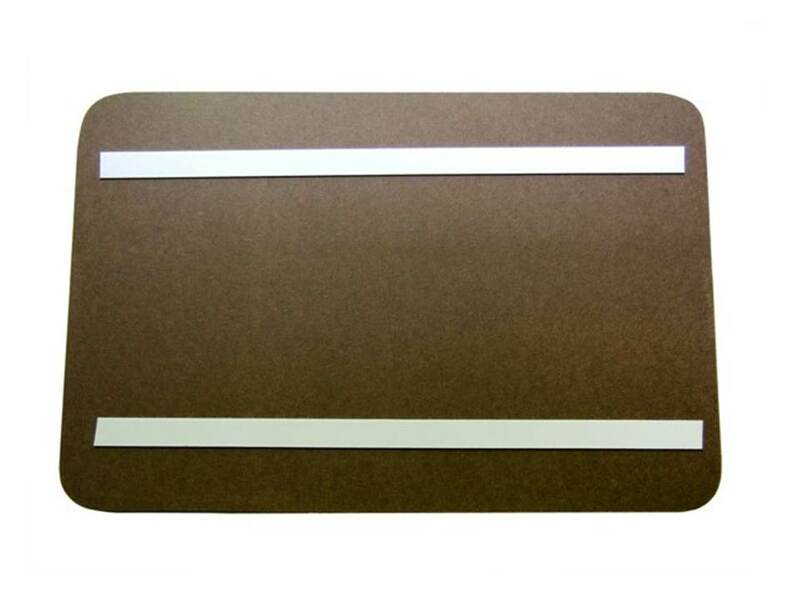 Sizes: Approximately 12" x 18" or reverse to 18" x 12"
Included 3M® double sided mounting tape.